Now some of the same folks who tried to silence us then are telling us that MCAS isn’t up to the task of preparing our children for college and career. They say we need the new and improved model: PARCC testing. That’s the gist of a new report commissioned by Massachusetts Business Alliance for Education, which has lined up behind PARCC. What it boils down to, though, is this: Those folks say po-TAY-to, them folks say po-TAH-to. 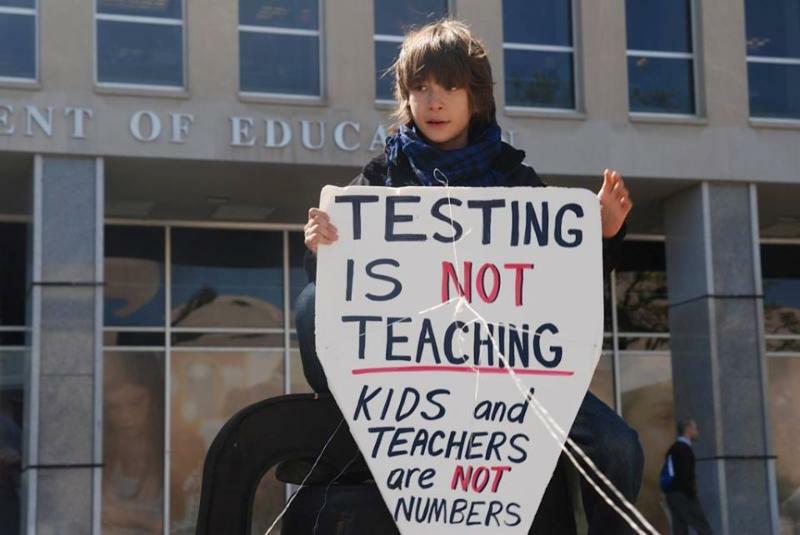 I say let’s call the whole high-stakes testing travesty off! To that end, we are supporting a slate of bills calling for a moratorium on the high stakes use of standardized test scores in Massachusetts. Click here for summaries of the bills. Then click here to contact your legislators and urge them to support the bills! Meanwhile, our petition calling for a moratorium on the high-stakes use of standardized tests has surpassed 3,000 signatures. The petition is set up to notify state legislators “automagically” about how many people have signed and how many signers are voters in their legislative district. Another good reason to reach out, again, to all of your contacts and urge them to sign on. And be sure to check out our updated fact sheet on opting out of MCAS or PARCC tests.